Academic honesty depends upon the integrity of the students and faculty. The College itself is defrauded if faculty and/or students knowingly or unwittingly allow dishonest acts to be rewarded academically. It is the faculty's responsibility to make every reasonable effort to foster honest academic conduct. If the faculty member believes that there is evidence of academic dishonesty on the part of a student it is the faculty member's responsibility to take appropriate action in accordance with these procedures. 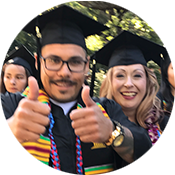 Students at Gavilan College have the right to know what constitutes academic honesty at the college and in each course in which they are enrolled. Faculty members will apprise their classes of the ethical standards required in their courses and the permissible procedures in class work and examinations. A statement referring to this policy as a reference for the class will be presented in the course outline (green sheet)* and/or on the individual examinations. Students will be informed of the consequences of violating these standards, their rights of appeal, and the procedures to be followed in the appeal. The purpose of this procedure is to expand, clarify, and set forth clear levels of authority and disciplinary protocols in response to violations of the Standards of Student Conduct (BP 5500), specifically as it relates to academic honesty. These procedures guarantee the student or students involved the due process rights extended to them by state and federal constitutional protections. The procedures will be used in a fair and equitable manner, and not for purposes of retaliation. The purpose of this procedure is to expand, clarify, and set forth clear levels of authority and disciplinary protocols in response to violations of the Standards of Student Conduct, specifically as it relates to academic honesty. These procedures guarantee the student or students involved the due process rights extended to them by state and federal constitutional protections. The procedures will be used in a fair and equitable manner, and not for purposes of retaliation. Purposely allowing another student to copy from another student during a test. Giving homework, term paper or other academic work to another student to plagiarize. Having another persons work submitted in another's name. Lying to an instructor or college official to improve a grade. Altering graded work after it has been returned, then submitting the work for re-grading (without knowledge of the instructor). Removing test(s) from classroom or any other place without instructor's approval. Stealing tests or keys to tests. Forging signatures on drop/add slips or other college documents. Copying, in part or in whole, from another's test or other evaluation instrument or obtaining answers from another person during the test without instructor's approval. Submitting work previously presented in another course, if contrary to the written rules of the course. Using or consulting, during an examination, sources or materials not specifically authorized by the instructor. Intentionally altering, changing, misusing documents or records. Knowingly furnishing false information or generally interfering with grading procedures or instruction of a class. Any other act committed by student(s) in the course of academic work, which defrauds or misrepresents, including aiding or abetting, in any of the actions defined above. Representing another's artistic/scholarly works such as musical compositions, writings, computer programs, photographs, paintings, drawings, scriptures, or similar works as one's own. Arrange an office conference with the student and at that time advise the student of the allegations and make him or her aware of the supporting evidence and the probable consequences. Any classroom confrontation should be as discreet as possible. If, as a result of this meeting, the instructor believes that the student's response is insufficient to offset the charge of academic dishonesty to the extent that the student may be excused, the instructor will inform the student of the sanctions to be recommended or assessed in accordance with this policy. At the discretion of the instructor, a written report of the infraction and the sanction taken may be submitted to the Vice President of Instruction with a copy to the appropriate area Dean. When a student, who has been informed of an impending conference to discuss the alleged dishonesty, fails to attend, or when the apparent dishonesty is detected near the end of the semester and the instructor makes a good faith effort to contact the student but is unable to do so, the instructor may impose the recommended sanctions and file a written report to the area Dean and Vice President of Instruction without a conference. In either case, the student's right to appeal is preserved. Sanctions: There shall be two major classifications of sanctions that may be imposed for Academic Honesty violations: Academic and Administrative. The imposition of one variety of sanction (Academic or Administrative) will not preclude the addition of the other. Academic sanctions will be defined as those actions related to coursework and grades. Faculty are responsible for the type of academic sanction to be applied to students involved in incidents of cheating or plagiarism. Usually a form of "grade modification" will be employed. Administrative sanctions concerning a student's status on campus and are acted on by the Vice President of Instruction. Faculty Discretion: Cases involving the careless or inept handling of quoted material but falls short of the definitions of the acts of cheating and/or plagiarism as defined in this policy, may be dealt with at the discretion of the faculty member concerned. Reprimanded orally. A student may be referred for counseling but cannot be required to seek counseling. Failed in the evaluation instrument (paper or exam). Reduced course grade, including possible failure of course. Referred for administrative sanctions. A faculty member may choose to refer a student to the Vice President of Instruction for disciplinary action in lieu of any academic sanction or in addition to the academic action the faculty member has taken. Administrative Sanctions: As stipulated in the California Administrative Code, Sanction 41301, cheating or plagiarism in connection with an academic program at a campus may warrant expulsion, suspension, probation or a lesser sanction. 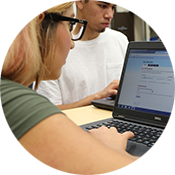 Administrative action involving academic dishonesty at Gavilan is the responsibility of the Vice President of Instruction according to the Standards of Student Conduct (Student Discipline Procedures, AP5520). The Vice President of Instruction will notify faculty members involved when action has been taken. repeat violations as brought to his/her attention by the faculty or through the written reports filed with the Vice President of Instruction. Protection of Rights: Nothing in this procedure is intended to deny students who come within its scope appropriate "due process". Students have the right to be informed of the charges, the nature of the evidence supporting the charges, and to have a meeting with the faculty member, Vice President of Instruction, or other decision-makers. Students have the right to appeal any decision resulting from such a meeting. Academic sanctions may be appealed through the Vice President of Instruction in accordance with the Students' Problem Resolution Process. Administrative sanctions resulting in disciplinary suspension or expulsion can be appealed through the Student Discipline Procedures. (Student Discipline Procedures, AP5520) (Education Code 66017). Mediation services will provide students with an opportunity to problem-solve together in a safe environment. Trained student mediators will work with two or more students who are in conflict to reach mutually agreeable solutions. Mediation services are free and confidential. Students wishing to become mediators can register for Introduction to Conflict Resolution (Psychology 6). To obtain mediation services, contact the Counseling Department at 408-848-4723. Conflict and miscommunication are, unfortunately, a fact of life. Choosing how we deal with difficult issues becomes a personal choice we all must make. In the educational environment, there are also times when a student and a college employee (faculty/teacher/instructor, support staff, or administrator) may have a problem or issue which needs some clarification and resolution. Therefore, Gavilan College has a procedure to help students address problems and work on solutions that hopefully benefit all the people involved. The following process for resolving issues is called THE STUDENTS' PROBLEM RESOLUTION PROCESS and applies to specific situations on campus. There are also times when the students' attempt to resolve problems must follow laws determined by the Federal Office of Civil Rights. These situations include alleged discrimination or harassment around race/ethnicity, sexual harassment, disability, religion, gender, color, national origin and age. If you feel you have experienced discrimination based upon any of these actions, you must follow a separate procedure available from the Gavilan College affirmative action officer. Consult with the staff at the office of the Vice President of Administrative Services located in HR 101. The areas covered by the STUDENTS' PROBLEM RESOLUTION PROCESS can include an issue with a grade (within Education Code 76224 limitations), poor communication or negative behavior between you and a staff member, etc. We encourage you to speak with a counselor for assistance in clarifying your issues and understanding the correct process to follow. If your problem is with a faculty member, you need to be aware of the concept and rights surrounding "academic freedom." It shall be the policy of the college to maintain and encourage full freedom for its faculty, to teach, research and pursue knowledge subject to the applicable provisions of law. In the exercise of this freedom the faculty member may, as provided in the U.S. and California Constitutions and other applicable laws, discuss his/her own subject or area of competence in the classroom, as well as any other relevant matters, including controversial matters, so long as she/he distinguishes between personal opinions and factual information. Faculty shall be free from unlawful harassment or from unlawful interference or restrictions based on political views. Faculty shall be free from any and all forms of electronic or other listening or recording devices, except with his/her express and non-continuing consent, except where allowed otherwise by law. The Board shall not unlawfully inquire into, nor predicate any adverse action upon a faculty member's personal, political or organizational activities or preferences. The Board shall not interfere with a faculty member's freedom of speech or use of materials in any teaching assignment, except as allowed by law. The college also recognizes and understands the hesitation you may feel when considering addressing a problem with an instructor. You may fear that your grade in the class may suffer, you may later need to take another course from this instructor, or that "nothing will change, so why bother?" Because of these perceptions, you may sometimes think it is not worth trying to clear up a misunderstanding or resolve a conflict. We hope that you do try to resolve any problems, as unresolved issues take energy away from other aspects of your life. The basic premise of any problem-solving is that you must discuss the problem with the person who is directly involved. Although this is sometimes difficult, it is the best way to resolve a problem. This PROBLEM RESOLUTION PROCESS also requires this first step. What was the specific behavior with which I have a problem? How did this behavior make me feel? What specific actions do I want to see as part of a possible resolution? Too frequently our emotional reactions to an incident cloud the actual behavior to which we are reacting. These common reactions can also prevent us from clearly stating what we would like to have happen as a resolution. You can work on identifying the problem alone or work through it with a counselor, staff member or friend. This preliminary thinking should help you present your concerns in a clear and concise manner. The purpose of this procedure is to provide a prompt and equitable means to address complaints as applied to and regarding academic, administrative, and instructional matters relating to students, and including, but are not limited to, any complaints dealing with any certificated, classified, or management employee of Gavilan College. The areas covered by this procedure can include, but is not limited to poor communication, or negative behavior between the student and a college representative. Students with issues regarding grades must be aware of the Education Code Section 76224 (a) which govern grievances relating to course grades. The code states: "When grades are given for any course of instruction taught in a community college district, the grade given to each student shall be the grade determined by the instructor of the course and the determination of the students' grade by the instructor, in the absence of mistake, fraud, bad faith, or incompetence, shall be final". This procedure is not appropriate for situations regarding alleged discrimination or harassment around race/ethnicity, sexual harassment, disability, religion, gender, color, national origin, and age (please refer to AP 5530). This procedure guarantees to the student or students involved the due process rights guaranteed to them by state and federal constitutional protections. This procedure will be used in a fair and equitable manner, and not for purposes of retaliation. It is not intended to substitute for criminal or civil proceedings that may be initiated by other agencies. STEP 1: Within ten (10) school days of an incident, a student must meet with the person with whom they have a problem. The student may bring another person of their choice (i.e., staff, friend, student) to the meeting. This person is not to speak for the student, but can provide support and quiet encouragement. If the student is still dissatisfied, the student must notify the staff person that they will be taking the problem to the next step. STEP 2: Within ten (10) school days of Step 1, the student must meet with the department chairperson or supervisor of the person with whom they have the problem. The department chairperson or supervisor can ask the student, the students' supporter, and the staff member to meet together, or meet separately with the student and the staff person with whom there a problem. The department chairperson/supervisor can meet with the student again to discuss the problem, review what occurred at the previous meeting (Step 1) and discuss the students' proposed resolution. The student may bring to the meeting the same person from the first meeting to act as a supporter. If the student is still dissatisfied, the student will move to Step 3 of the process. STEP 3: The student must meet with the dean of the related area within ten (10) school days of Step 2. This meeting will include the student, the department chairperson/supervisor, and the dean of the related area. During this meeting the outcomes of prior discussions will be reviewed and proposed resolutions discussed. If the student is still dissatisfied, the student will move to Step 4 of the process. STEP 4: Within ten (10) school days of Step 3, the student must meet with the Vice President of the area. During this meeting the outcomes of prior discussions will be reviewed and proposed resolutions discussed. If the student is still dissatisfied, within five (5) school days, the student must notify the Vice President with whom they met in step 4, that a hearing committee review is requested to resolve the issue. This request will be forwarded to the Superintendent/President of the College who, within five (5) school days from receiving the request, will convene a hearing committee at a time to be determined by the college President. STEP 5: Within five (5) school days after receiving a request, the Superintendent/President of the College will convene a committee to hear the issue. The department chairperson or supervisor from the area involved. The Hearing Committee will conduct the hearing in private. They will call the student or related personnel if they think it will help resolve the problem. The committee will make recommendations for a win-win resolution and forward these recommendations to all the involved parties and the Superintendent/President of the College. If either the student or the college staff member is not satisfied with the recommendations of the Hearing Committee, the next step in the process, an appeal, will follow. The student must request an appeal within five (5) school days after the Hearing Committee's recommendations were received by the student and the related college staff member. If not, the resolution process is closed and there is no appeal. STEP 6: An appeal may be made to the college Superintendent/President. This step requires that the student or the other staff member involved write a letter outlining the action taken so far and the hoped-for resolution. The College Superintendent/President will review this letter and the recommendations from the Hearing Committee. She/he will schedule and hold a private meeting with the student to discuss and, hopefully, resolve the problem. If the student or the staff member does not feel satisfied with the President's resolution, a final step may be taken. STEP 7: A written appeal may be made to the college's Board of Trustees. The Board must respond in writing within thirty-five (35) school days of receiving the written appeal. This is the last step in the college's Problem Resolution Process. Decisions at this level are final. School Day: For the purposes of this procedure, a "school day" is any Monday through Friday that all normal college business is conducted, both in the classroom and in the administrative offices. All weekend and college holidays are not considered school days. The purpose of this procedure is to provide a prompt and equitable means to address violations of the Standards of Student Conduct (BP5500). The procedure guarantees the student or students involved the due process rights extended to them by state and federal constitutional protections. The procedure will be used in a fair and equitable manner, and it is not extended to substitute for criminal or civil proceedings that may be initiated by other agencies. In all disciplinary actions the student will be notified of the nature of the charges against him/her, that he/she is given a fair opportunity to refute them, and that the institution will not be arbitrary in its action. Admonition: An oral statement to student offender who has violated college rules. Warning: Notice to student, oral or in writing, that continuation or repetition of wrongful conduct may be cause for additional disciplinary action. Written warnings may be considered in the event of future violations. Reprimand: Written statement of violation of a specified regulation including the possibility of more severe disciplinary action. Reprimands may be considered in the event of future violations. Disciplinary Action: Exclusion from participation in privileges or extracurricular activities as set forth in the notice of disciplinary action. Restitution: Reimbursement by the student for misappropriation of property. Reimbursement may take the form of appropriate service to repair or otherwise compensate for damage. Removal from Class: [Education Code Section 76032] An instructor may remove a student from his/her class when the student has interfered with the instructional process. Duration will be for the day of the removal and the next class meeting. Instructors must complete the Student Removal from Class form and submit the form to the area Dean. The Dean shall arrange for a conference between the student and the instructor regarding the removal. If the instructor or the student requests, the Dean shall attend the conference. The student shall not be returned to the class during the period of the removal without the concurrence of the instructor. Nothing herein will prevent the Dean from recommending further disciplinary procedures in accordance with these procedures based on the facts which led to the removal. Summary Suspension: A summary suspension is for the purpose of investigation. It is the means of relieving the campus of tension due to serious misconduct, removing a threat for the well-being of students, or removing a student or students whose presence would prevent the continued normal conduct of the college community. Summary suspension is limited to that period of time necessary to ensure that the investigation is accomplished. This summary suspension shall not exceed ten (10) school days. Disciplinary Suspension: Exclusion from classes and other privileges or activities as set forth in the notice of suspension for definite period of time. Conditions for readmission will be stated in the notice of suspension. A short term suspension is exclusion from one or more classes for a period of up to ten (10) consecutive school days. A long-term suspension is exclusion from one or more classes for the remainder of the school term, or from classes and activities of the college for one or more terms. Expulsion: Termination of student status for an indefinite period. The conditions of readmission, if permitted, shall be stated in the order of expulsion. Immediate Interim Suspension [Education Code Section 66017]: The President of the College or designee may order immediate suspension of a student where he or she concludes that immediate suspension is required to protect lives or property and to ensure the maintenance of order. In cases where an immediate interim suspension has been ordered, the time limits contained in these procedures shall not apply. The right to a Disciplinary Appeal Hearing (when a long-term suspension or expulsion is recommended) will be afforded to the student within ten (10) school days of the disciplinary action. Request for Hearing. Within five (5) school days after receipt of the President's decision regarding a long-term suspension or expulsion, the student may request a formal hearing. The request must be made in writing to the President of the College or designee. Appeals are only heard for long-term suspensions and expulsions. Schedule of Hearing. The formal hearing shall be held within five (5) school days after a formal request for hearing is received. Composition of the Hearing Panel. The hearing panel for any disciplinary action shall be composed of one administrator, one faculty member, and one student. Selection of the Hearing Panel Members. The President of the College, the President of the Academic Senate, and the ASB President shall each, at the beginning of the academic year, establish a list of at least five (5) persons who will serve on student disciplinary hearing panels. The President of the College shall appoint the hearing panel from the names on these lists. However, no administrator, faculty member or student who has any personal involvement in the matter to be decided, who is a necessary witness, or who could not otherwise act in a neutral manner shall serve on a hearing panel. Hearing Panel Chair. The President of the College shall appoint one member of the panel to serve as the chair. The decision of the hearing panel chair shall be final on all matters relating to the conduct of the hearing unless there is a vote by both other members of the panel to the contrary. Conduct of the Hearing. The members of the hearing panel shall be provided with a copy of the accusation against the student and any written response provided by the student before the hearing begins. A college representative who shall be the Vice President of Student Services shall present the facts supporting the accusation. The college representative and the student may call witnesses and introduce oral and written testimony relevant to the issues of the matter. Formal rules of evidence shall not apply. Any relevant evidence shall be admitted. Unless the hearing panel determines to proceed otherwise, the college representative and the student shall each be permitted to make an opening statement. Thereafter, the college representative shall make the first presentation, followed by the student. The college representative may present rebuttal evidence after the student completes his or her evidence. The burden shall be on the college representative to prove by substantial evidence that the facts alleged are true. Representation. The student may represent him or herself, and may also have the right to be represented by a person of his or her choice. The student shall not be represented by an attorney unless, in the judgment of the hearing panel, complex legal issues are involved. If the student wishes to be represented by an attorney, a request must be presented not less than five (5) school days prior to the date of the hearing. If the student is permitted to be represented by an attorney, the college representative may request legal assistance. The hearing panel may also request legal assistance; any legal advisor provided to the panel may sit with it in an advisory capacity to provide legal counsel but shall not be a member of the panel nor vote with it. Confidentiality. Hearings shall be closed and confidential unless the student requests that it be open to the public. Any such request must be made no less than five (5) school days prior to the date of the hearing. In a closed hearing, witnesses shall not be present at the hearing when not testifying, unless all parties and the panel agree to the contrary. The hearing shall be recorded by the District either by tape recording or stenographic recording, and shall be the only recording made. No witness who refuses to be recorded may be permitted to give testimony. In the event the recording is by tape recording, the hearing panel chair shall, at the beginning of the hearing, ask people present to identify themselves by name, and thereafter shall ask witnesses to identify themselves by name. Tape recording shall remain in the custody of the District at all times, unless released to a professional transcribing service. The student may request a copy of the tape recording. All testimony shall be taken under oath; the oath shall be administered by the hearing panel chair. Written statements of witnesses under penalty of perjury shall not be used unless the witness is unavailable to testify. A witness who refuses to be tape-recorded is not unavailable. Decision. Within ten (10) school days following the close of the hearing, the hearing panel shall prepare and send to the President of the College a written decision. The decision shall include specific factual findings regarding the accusation, and shall include specific conclusions regarding whether any specific section of the Standards of Student Conduct were violated. The decision shall also include a specific recommendation regarding the disciplinary action to be imposed, if any. The decision shall be based only on the record of the hearing, and not on matter outside of that record. The record consists of the original accusation, the written response, if any, of the student, and the oral and written evidence produced at the hearing. Long-term suspension. Within ten (10) school days following receipt of the hearing panel's recommended decision, the President of the College shall render a final written decision. The President of the College may accept, modify or reject the findings, decisions and recommendations of the hearing panel. If the President of the College modifies or rejects the hearing panel's decision, the President of the College shall review the record of the hearing, and shall prepare a new written decision, which contains specific factual findings and conclusions. The decision of the President of the College shall be final. Expulsion. Within ten (10) school days following receipt of the hearing panel's recommended decision, the President of the College shall render a written recommended decision to the Board of Trustees. The President of the College may accept, modify or reject the findings, decisions and recommendations of the hearing panel. If the President of the College modifies or rejects the hearing panel's decision, he or she shall review the record of the hearing, and shall prepare a new written decision, which contains specific factual findings and conclusions. The President of the College decision shall be forwarded to the Board of Trustees. The Board of Trustees shall consider any recommendation from the President of the College for expulsion at the next regularly scheduled meeting of the Board after receipt of the recommended decision. The student shall be notified in writing, by registered or certified mail or by personal service, at least three (3) school days prior to the meeting, of the date, time, and place of the Board's meeting. The student may, within forty-eight hours after receipt of the notice, request that the hearing be held as a public meeting. Even if a student has requested that the Board consider an expulsion recommendation in a public meeting, the Board will hold any discussion that might be in conflict with the right to privacy of any student other than the student requesting the public meeting in closed session. The Board may accept, modify or reject the findings, decisions and recommendations of the President of the College and/or the hearing panel. If the Board modifies or rejects the decision, the Board shall review the record of the hearing, and shall prepare a new written decision, which contains specific factual findings and conclusions. The decision of the Board shall be final. The final action of the Board on the expulsion shall be taken at a public meeting, and the result of the action shall be a public record of the District.